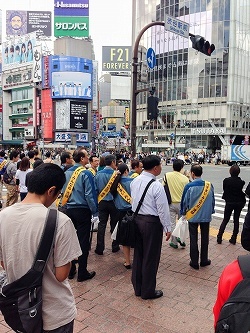 TIL Tokyo has a self-declared superhero who calls himself Mangetsu Man. 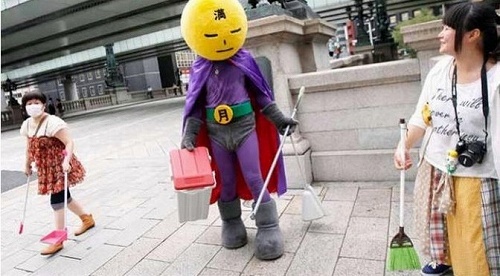 He keeps his identity secret by wearing a purple bodysuit, with a big yellow smiley head; and his self-described job is to keep the city trash free. 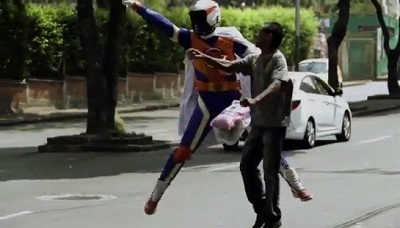 Mangetsu Man: A ‘grime-fighting’ superhero who keeps Tokyo clean! oni~chan massaji wa do desu ka?